Stay online globally without any SIM card and roaming fee! GlocalMe is redefining the way we stay connected to the internet globally by offering network compatibility with a number of carrier networks in 106+ countries and regions around the world. GlocalMe brings affordable, predictable and flexible rates to fit your need. You can do pay-as-you-go and pay only for the data you actually used. GlocalMe also provides quite a few multi-country or single-country data packages at even more favorable prices. More details about coverage and data packages visit our website: www.glocalme.com. Mobile phone APP enables you to connect to safe personal Wi-Fi and manage your device and data usage easily, timely and effectively. You can track data usage, account balance and purchase history, top-up account and purchase new data packages on GlocalMe user friendly APP. Two SIM card slots for your favorite destinations, U2 can also be used as a traditional unlocked Wi-Fi hotspot with the insertion of local SIM card to receive local 3G/4G network signals. Skyroam Solis is the ultimate travel companion, a smart travel device that is a dual global 4G LTE hotspot and power bank. Skyroam Solis provides super fast, secure and affordable mobile data for up to 5 devices with no SIM card in 130+ countries. Africa: Algeria, Egypt, Kenya, South Africa, Morocco, Tunisia, Tanzania, Madagascar, Zambia, and Nigeria. Each 24-hr daypass begins when you click Start > OK on the hotspot screen. Buy daypasses when needed at account portal. If account is inactive for 12 months and balance remains, two daypasses expire. If no balance remains, nothing changes. Service is optimized for average use, speeds may slow with very high usage. Video-streaming are not recommended. 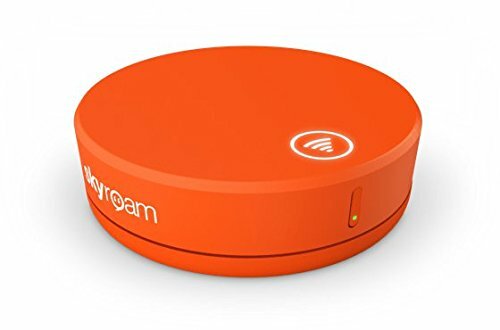 Your Portable Global Hub: Travel the world with Skyroam's super fast global 4G LTE hotspot with embedded power bank, one pocket-sized solution for all your WiFi needs. Instant coverage in 130+ countries: Skyroam's unique virtual SIM automatically connects you to the best speeds at top destinations in Europe, The Americas, Asia, Africa & Australia. DOES THIS DEVICE NEED A SIM CARD: Yes this device needs a micro size SIM card, (not-Included though Free from most GSM Networks with activation of an account) There will be a sticker with the Unlock code enclosed on the box Label in case you need to reformat the device or change your Network provider. WHAT NETWORK FREQUENCIES ARE SUPPORTED BY THIS DEVICE: The Phone will support the folowing Technology Bands: 3G 4G HSPA+ UMTS 850 900 1900 2100MH. 4G LTE Bands 1 2 3 4 5 7 12 17 29 30 with enhanced backhaul with Global roaming supported. Please contact your Network provider (prior to purchase) and inquer if they support these bands in your area to ensure the device will work Properly. WHAT DOES UNLOCKED REALLY MEAN: Unlocked devices are compatible with GSM carriers the kinds that Use SIM Cards for Service like AT&T and T-Mobile as well as with GSM SIM cards (e.g. H20, Straight Talk, and select prepaid carriers) Unlocked Devices will not work with CDMA Carriers the kinds that dont use sim cards for service like Sprint, Verizon, Boost or Virgin (contact your network provider prior to purchasing for verification that they support GSM frequencies). !!!!!!!!!!!!!!!!!!!!!!!!!!!!!! WILL NOT WORK ON VERIZON OR SPRINT !!!!!!!!!!!!!!!!!!!!!!!!!!!!!! Provides up to 150 Mbps 4G LTE and 50 Mbps 3G download speed. E5573Cs is unlocked to all **SUPPORTED** networks with the sim card of your choice! Brand: HUAWEI | Manufacturer: Huawei inc.
ZTE completely revamped the velocity in this NEW and improved velocity 2 upgrade select bugs that were found in the velocity first generation have been fixed this new and improved device comes with an updated technologically improve battery two shirt this device can handle the continuous use and strain put on such a frequently used device the velocity 1st gen had its known bugs such as random reset and short battery life this device includes a broader range of frequency connectivity and longer-term Battery life this device won't let you down with your expectations of the latest on the market mobile Wi-Fi hotspot this device supports 10 wifi-enabled devices and can be controlled from any web browser with the following credentials "attwifimanager" and with Default Password: "attadmin"
DOES THIS DEVICE NEED A SIM CARD: Yes it does Being that this device is GSM unlocked it will work on any GSM Network with a Nano size SIM Card The sim card does not come included, you will need to contact your Network Provider to acquire your complimentary Sim card (Free from most Carriers with activating of an account). 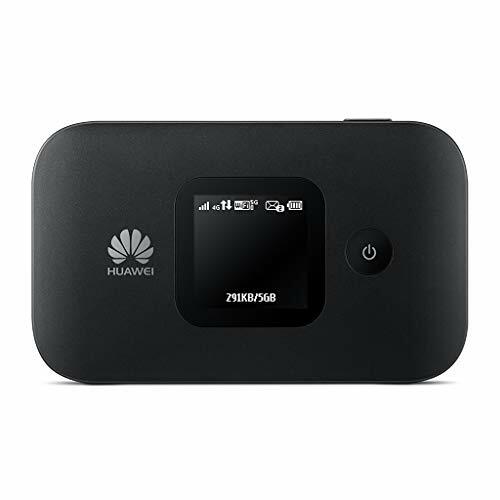 WHAT NETWORK FREQUENCIES ARE SUPPORTED BY THIS DEVICE: The Hotspot will support the following Technology UMTS/HSPA+ 850/1700/1900 LTE Bands 2, 4, 5, 12, 29, 30, 66. Please contact your network Provider (prior to purchase) and inquire if they support these bands in your area to ensure the device will work Properly. HOW LONG CAN I EXPECT THE BATTERY TO LAST ME: Well the battery capacity is decent at 3,000mAh This device has a unique feature where you can select the range of Wi-Fi you want to spread which will increase or decrease the amount of usage time frame, therefore, there is no set timeframe of how many hours it will function as it depends how much you can serve the energy. WHAT DOES UNLOCKED REALLY MEAN: Unlocked devices are compatible with GSM carriers the kinds that Use SIM Cards for Service like AT&T and T-Mobile as well as with GSM SIM cards (e.g. H20, Straight Talk, and select prepaid carriers) Unlocked Devices will not work with CDMA Carriers the kinds that don't use sim cards for service like Sprint, Verizon, Boost or Virgin (contact your network provider prior to purchasing for verification that they support GSM frequencies). Powerful Performance: Surf at top speed. Use a device that offers the latest in bandwidth, speed, and performance - ideal for stremaing videos, sending emails, and keeping your social status up-to-date while on-the-go. Powerful Battery - Recharging is the least of your worries. Last the day out with up to 24 hours of continuous use. 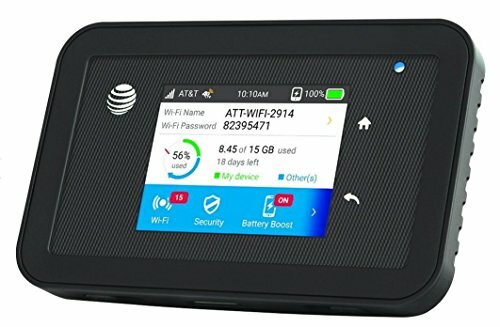 Connect up to 15 Wi-Fi devices: Share a secure connection with friends and family, or simply connect all your Wi-Fi devices - whether it be a smartphone, tablet, laptop, or portable gaming device. Global Ready - Stay connected, even abroad. The Jetpack 791L is Global Ready, meaning you can bring Wi-Fi with you and use it in 200+ countries. 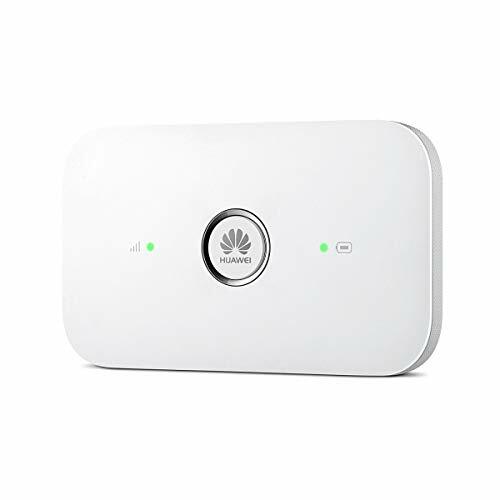 Huawei E5577Cs-321 can be used as a wireless modem when the Wi-Fi is enabled. A maximum of ten wireless users can access the E5577 at the same time. The E5577 allows you to access the Internet via LTE/3G or Wi-Fi. When you are using the E5577 in areas with a Wi-Fi hotspot, for example, an airport, a cafe, a hotel, or your home, the E5577 switches to Wi-Fi connection automatically, saving your LTE/3G network traffic fees. Huawei E5577Cs-321 provides a menu-style LCD UI with support for multiple languages such as English, Spanish, German, and Italian. You can browse the information on the LCD or configure settings. Also you can scan a 2D barcode on the E5577's LCD to download the HUAWEI Mobile WiFi App or quickly connect your device to the E5577 to access the Internet! With microSD card support, you can store data on the card or use the Web management page to share data. The E5377TS-32 is hexa-band 4G and quad-band 3G. These cover most of the world's 4G and 3G networks. 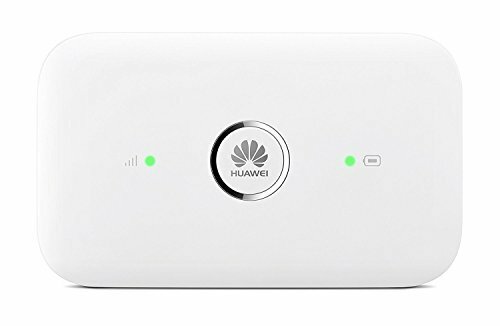 Huawei E5573Cs-509 can be used as a wireless modem when the Wi-Fi is enabled. All you need to do is insert a sim card of your choice as it is UNLOCKED then the device is ready to use. A maximum of ten wireless users can access the E5573 at the same time. The E5573 allows you to access the Internet via LTE/3G or Wi-Fi. When you are using the E5573 in areas with a Wi-Fi hotspot, for example, an airport, a cafe, a hotel, or your home, the E5573 switches to Wi-Fi connection automatically, saving your LTE/3G network traffic fees. Huawei E5573Cs-509 provides a LED indications for Signal and Battery. Also you can scan a 2D barcode to download the HUAWEI Mobile WiFi App or quickly connect your device to the E5573Cs-509 to access the Internet! The E5573Cs-509 is deca-band 4G and penta-band 3G. These cover most of the world's 4G and 3G networks. 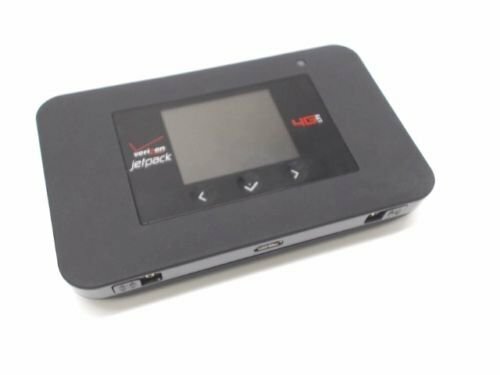 Provides up to 150 Mbps 4G LTE and 43.2 Mbps 3G download speed. E5573Cs-509 is unlocked to all networks so use the sim card of your choice! Offers up to 6 hours of working time and up to 300 hours of standby! Small, slim and light weight with a stylish design. Convenient for travelling! 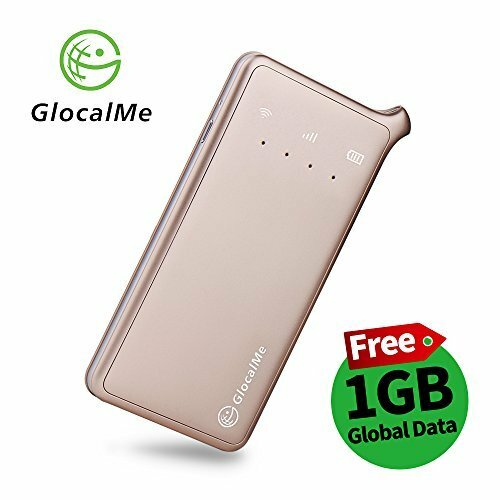 SIM Free--Powered by innovative Cloud Sim technology, GlocalMe U2 allows travellers to access the Internet at any point of their journey without any local SIM card and roaming charge in over 106 countries and regions. For detailed coverage and data plan information please pay a visit to our official website: www.glocalme.com. 4G LTE high speed internet with 150 Mbps download/50 Mbps upload.Smart Connect- Automatically choose the best band available and could connect up to 5 Wi-Fi Enabled Devices, including iPhone, Samsung,Sony, iPad, Apple Watch,laptop and etc. Up to 13 hours of continuous use.Great Summer Holiday Essential. Cost efficient data rates--No roaming fees, SIM free, No contract,Only pay for the exact data you used. User friendly App for easy and effective data management. 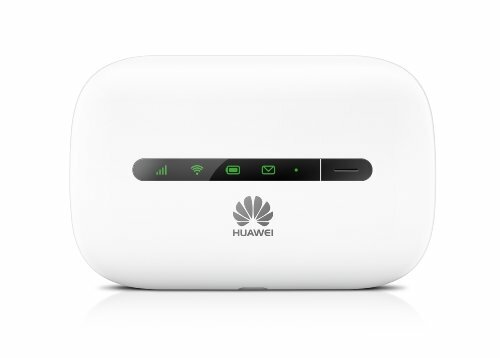 Huawei E5330s-2 is a high-speed packet access mobile hotspot. It is a multi-mode wireless terminal for SOHO (Small Office and Home Office) and business professionals. You can connect the E5330 with the USB interface of a computer or connect the E5330 with the WiFi. In the service area of the HSPA+ / HSPA / UMTS / EDGE / GPRS / GSM network, you can surf the Internet and send/receive messages/emails cordlessly. The E5330 is fast, reliable, and easy to operate. Thus, mobile users can experience many new features and services with the E5330. Will not work in the Americas! Look for E5330Bs-6 or E5220s-6 model! THIS MODEL WILL NOT WORK IN THE AMERICAS AND USA - PLEASE LOOK FOR HUAWEI E5220s-6! Replacement router from Verizon, Comes with accessories in a replacement box. Sim Card is NOT included. Powerful Performance: Surf at top speed. Use a device that offers the latest in bandwidth, speed, and performance - ideal for stremaing videos, sending emails, and keeping your social status up-to-date while on-the-go. Global Ready - Stay connected, even abroad. 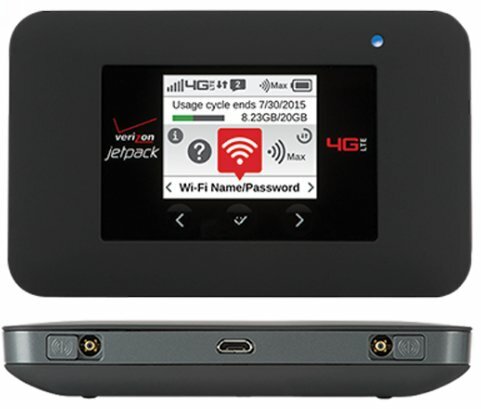 The Jetpack 791L is Global Ready, meaning you can bring Wi-Fi with you and use it in 200+ countries. 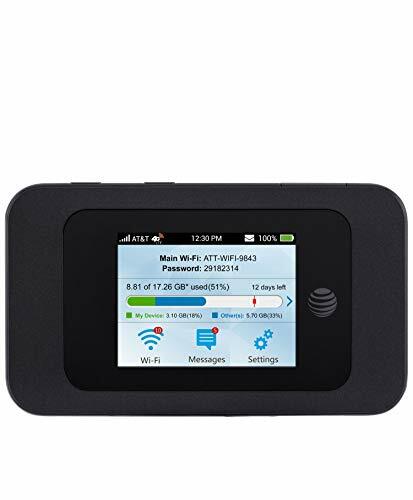 1.Make sure your cell phone is AT&T 700MHz 4G LTE Band 12/17 network frequency, if bought a wrong frequency , this item will not work on your mobile phone . 2.Make sure the Outdoor Yagi Antenna towards the cell phone signal tower,and could receive receive 1-3 bars of stable signal. 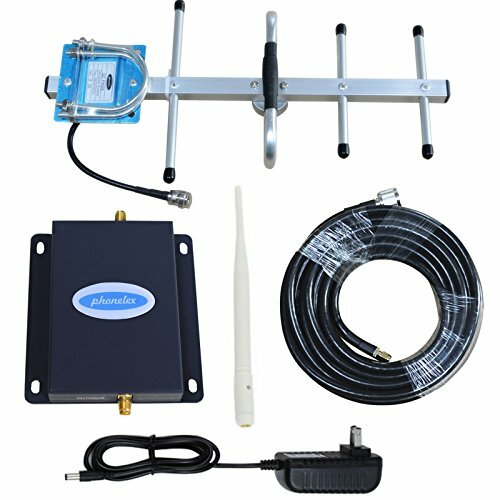 This cell phone signal booster is designed for band 12 Band17 AT&T 700mhz cellular band , Much faster high-speed 4G LTE internet. Perfect for people needing fast uploads and downloads for streaming apps such as Google Chrome, Safari, YouTube, Netflix, Pandora, Spotify, and other data-heavy apps. FCC authentication certificate,30 days- Money back, One Year Manufacturer Warranty , All parts included in the kit , Very easy to install .